Looking for a dedicated server in Vancouver? ServerMania offers dedicated servers at our Canadian data center that offer the connectivity of Vancouver at a fraction of the price. Vancouver dedicated servers are often significantly more expensive due to exceptionally high real estate and utility costs. Our Montreal, Quebec data center offers exceptional connectivity to Vancouver and across the country at a fraction of the cost of servers hosted in other Canadian cities. This makes Montreal the perfect choice for enterprise-grade dedicated servers. With 15 minute response times and servers custom built for your needs, ServerMania’s Canadian dedicated servers are the perfect choice for you. With prices starting at just $109 per month, dedicated servers hosted in Montreal, Quebec are an affordable alternative to Vancouver based dedicated servers. Our Montreal data center utilizes only the best networks to ensure clients in Vancouver receive exceptional speed and low latency. Reliability, performance, and support are the cornerstones of the best dedicated server hosting for Vancouver. This is exactly what we took into consideration when designing our Canadian data center. These factors are critical for the best dedicated hosting experience and are the reason why small and large businesses trust ServerMania with their critical business applications. We’re committed to delivering a rock-solid dedicated server hosting experience by offering a 100% uptime SLA in our state of the art Montreal data center. Utilizing only Tier-1 network providers, these servers are among the best dedicated server hosting options in Canada. WHY IS SERVERMANIA’S CANADIAN DATA CENTER THE PERFECT OPTION? We only use the finest Intel Xeon processors and SuperMicro chassis to ensure the most reliable server hardware experience. A dedicated KVM / Intelligent Platform Management Interface (IPMI) unit is offered on each server for you to remotely connect to the server instantly. Inside of our control panel, clients can instantly reboot servers without the need to submit a support ticket. ServerMania can provision up to 256 additional IP addresses where required per dedicated server. Simply contact our support team for assistance. With 10 N+2 backup power generators, a network running at over 300 Gbps, and redundant connections to multiple Tier 1 carriers, we’re able to guarantee 100% network uptime and availability. Our dedicated servers are powered by green hydroelectric energy, a renewable and environmentally-friendly power source to lower our carbon footprint. Test your connection to Montreal with a speed test. Why Is Canada The Best Location For Your Dedicated Servers? Canada is a world-leader in privacy and data protection legislation, making it the ideal location for sensitive data and business critical applications. Data sovereignty is a key concern for infrastructure clients with location-sensitive workloads and data that must be hosted under regulatory conditions compatible with enhanced privacy and security. Canadian privacy laws, including PIPEDA, comply with European privacy laws, so end users don’t need to make special arrangements to host data from Europe. If you host on Canadian soil, you’re free to collect and store EU data. Our French and English-speaking Montreal-based support teams offer round-the-clock support with a guaranteed response times of less than 15 minutes. ServerMania’s Montreal data center is almost entirely powered by hydroelectric generators. You can massively reduce your company’s carbon footprint by hosting your dedicated servers in Montreal. Our Montreal data center offers excellent low-latency network connectivity to Canada, the US, and Europe. 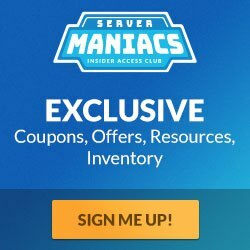 I would like to receive information and offers from Servermania.